I could sit here and ramble on about Syracuse’s chances of making the NCAA tournament as a team currently on the bubble. But I really don’t know much about being on that end of the stick. 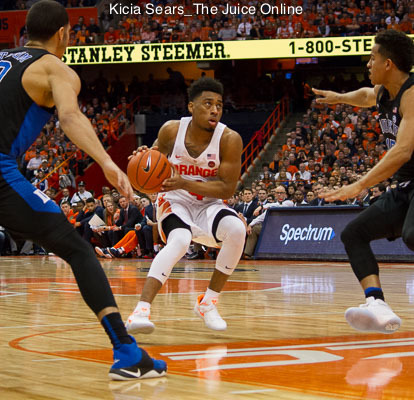 Since I became a Syracuse basketball fan at the start of the 2009-2010 season, Syracuse has only been on the bubble once – last year. And that wasn’t too worrisome. Every other year, save for the 2014-2015 season when self-imposed sanctions kept it out of the tourney, SU basketball has been a shoo-in for the tourney. Twice, it was a No. 1 seed. So I won’t speculate on whether this year’s iteration of the Orange will go dancing. Instead, I’d like to take a look back at a game that happened this week in 2010. Yes, it has been seven (!!) years since then-No. 4 Cuse trounced then-No. 7 Villanova in front of a then-record crowd at the Carrier Dome. The date was Feb. 27, 2010, and if my freshman self thought I had experienced college basketball earlier in the season…well that self was wrong. This was it. 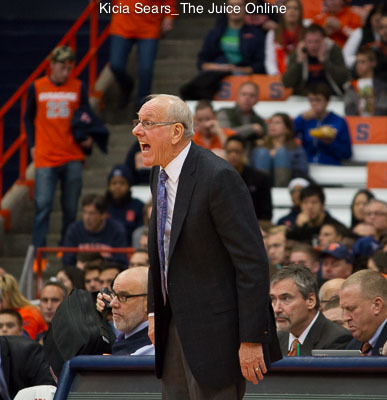 This game made Syracuse basketball a serious contender that season and in the years to follow. I often say that the ‘09-‘10 SU squad, and not the 34-3 team of 2011-2012 or the Final Four team of 2012-2013 was my favorite team during my four years at Syracuse. 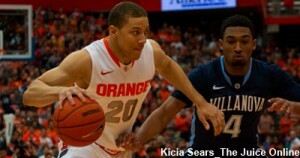 Up until that game, the Orange were experiencing an excellent, if surprisingly successful season. The team had lost three of its best players from the previous season. But transfer Wes Johnson teamed up with fifth-year seniors Andy Rautins and Arinze Onuaku to form a team that won – and won big. (It went on to a No. 1 seed and a Sweet 16 appearance, and could have gone further if not for Onuaku’s knee injury that felled him in the Big East tourney). Anyway, back to the game. A top-10 matchup between Big East rivals. There was a ton of buildup on campus in the lead-up to the game. T-shirts were sold. Students camped out. GameDay was in town. This was the game. And it did not disappoint. Syracuse took a 10-point lead at the half and never looked back in a 95-77 blowout win in front of an NCAA on-campus record crowd of 34,616. That same day, two of the teams ahead of SU in the polls lost. The next week the Orange, at 27-2, stood atop the polls. It was a well-deserved climb to cap off a wildly successful regular season. That game will always stand out in my mind. I have the digital camera photos in the pre-iPhone days to prove it. 2010 doesn’t seem like seven years ago. And that team doesn’t feel like seven teams ago. But time goes by. And here we are, in 2017, waiting to see if this year’s team will make the NCAA tourney. Either way, no game this season will top the importance of that big win in February 2010.